The Internet has allowed many entrepreneurs to reach success that would’ve been impossible without it. Its global reach allows you to find freelancers on the other side of the world, which saves on costs and lets the start-up function on a limited budget. It also allows for virtual meetings, which can be convenient if you find yourself constantly short on time. The problem is you miss out on a lot if you stick exclusively to virtual meetings. There will always be a place for them, but there are plenty of reasons to take to the field and talk to someone in person. Here are a few things that should make you strongly consider meeting face-to-face more. At this point, almost everyone in the world has had to resist the urge to look at Facebook or Twitter in an effort to be more productive. The Internet has allowed for an unparalleled level of connectivity, but that comes with a caveat – distractions. When you’re in front of the computer, you the run the risk of getting sidetracked by emails, notifications, and even computer errors. The last thing you want as an entrepreneur is to have your investor distracted by a random email as you’re making your pitch. Talking to people in person removes many of the virtual distractions present and allows all parties to focus on the conversation. Everyone has their own way of owning their workspace. Personalisation allows you to become a more comfortable and efficient entrepreneur. Unfortunately, that comfort can result in limiting your behaviour. Discomfort and nervousness have value – they keep you on your toes and your mind sharp. Meeting face-to-face forces you and others to step out of the comfort of your caves and get out into the world. Engaging this way can help develop relationships and can force attendants to think outside the box. 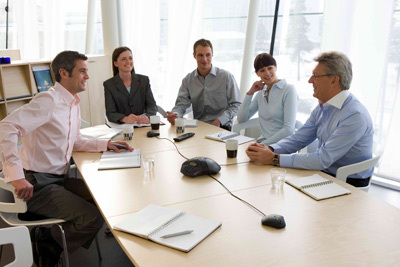 Virtual meetings are incredible not just due to their global reach, but due to their focus. You can set a topic for a meeting, conduct the meeting itself, and then immediately dismiss all participants once the objective’s been achieved. While this is good for important and urgent issues, it’s not necessarily good for relationship development. When people go to a meeting, no matter how far, they’re committed. They’ve invested effort into participating. That makes people more likely to participate in other events, such as dinner and networking sessions. This results in a more memorable and holistic experience. You can use these face-to-face meetings to advance your agenda as an entrepreneur. Get creative and leave people with a lasting impression of both you and your start-up. Remember, meeting in person allows you to engage people on a whole different level than you would behind a computer screen. Virtual meetings are inherently focused. While good in some cases, this results in impersonal interactions, especially if it is held over chat rather than over a video call. It is often easier to trust someone when you’re face-to-face with them. When in person you can hear the tone of their voice in relation to their body language. This allows for more networking opportunities. People will often refuse to speak freely when online, and for good reason. Being offline gives participants the opportunity to speak off the record and allows for context to be more easily established. It’s also a great opportunity to meet new people. Meeting personally with attendees allows for more quality time. Even with video calls, many people have trouble recognizing emotions, either due to the connection quality or lack of experience with the medium. This can result in hindered relationship development. When you’re looking at the budget and wondering if you can afford to meet with someone face-to-face, consider that you’re not just meeting with people for the sake of covering a topic. You’re meeting with them to build relationships and communicate clearly, two things that you can often do better face-to-face. It may be expensive and difficult, but so are a lot of things in your life as an entrepreneur. Consider meeting in person as the standard rather than the exception, as it will help you achieve your goals and objectives. Bizquarter is situated in the heart of Glasgow City Centre and provides modern, spacious and attractive office space to meet the needs of our clients. We provide flexible meeting rooms, at competitive prices, equipped to meet your needs.